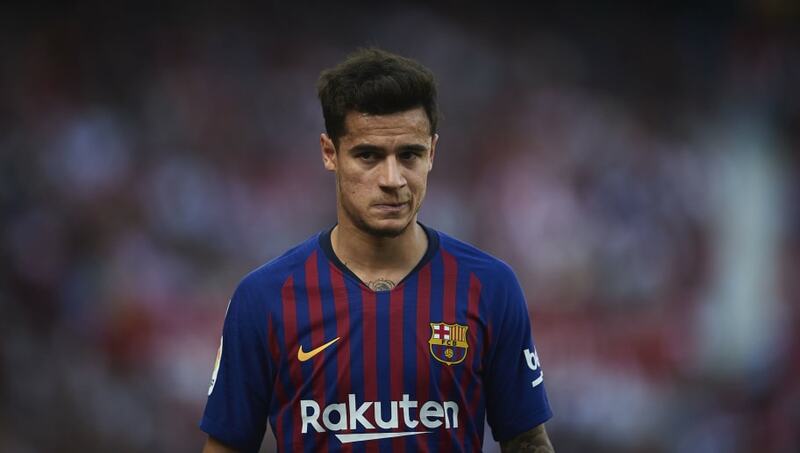 Liverpool will reportedly lose up to £17.6m in transfer bonuses if Barcelona's Philippe Coutinho moves to Manchester United in the summer, with the Catalan club looking to cash in on their record signing after a poor debut campaign with La Blaugrana. Coutinho only joined the Spanish giants at the beginning of last year from the Reds for a staggering £142m, but has failed to justify his price tag this season after struggling to establish himself in the first team. According to the ​Mirror, the Brazilian is keen on a return to the ​Premier League, with ​Manchester United touted as a potential escape route from Camp Nou, however, should any transfer materialise it could have serious ramifications for Coutinho's former side. A multitude of bonuses were agreed upon in the colossal fee, with ​Liverpool earning £4.4m for every 25 La Liga appearances he made capped at 100, with the Reds set to take a huge hit on that figure should the 26-year-old leave in the summer - as the midfielder is only likely to reach 50 by the end of the season. As the player is currently on 43 appearances, it seems likely he will hit that target, although a summer departure would see Jurgen Klopp's side miss out on at least £8.8m - a figure that could rise to £13.2m - owed to them. Furthermore, an additional £4.4m will be earned by the Merseyside outfit if ​Barcelona qualify for the Champions League, with the same figure amassed if they win the competition. However, if Ernesto Valverde's side fail to win the ​Champions League, and Coutinho is sold in the summer, then the clause would become null and void. If such a series of events were to unfold against Liverpool's favour, then the total could cumulate to just under £18m lost. With such financially beneficial and significant bonuses attached to the deal, Liverpool bosses were reportedly euphoric upon completion of the deal, Sport reported (via ​Metro), however, their ecstatic reactions could soon turn sour if reports are to believed that Coutinho is eager on a return to England.